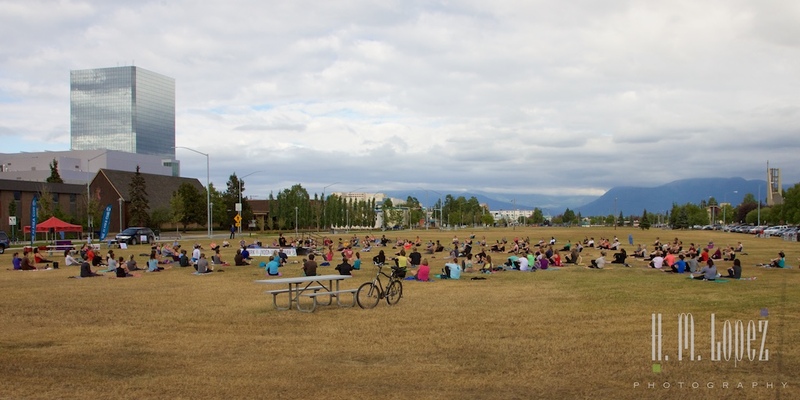 We went back to the city of Anchorage for a few days. 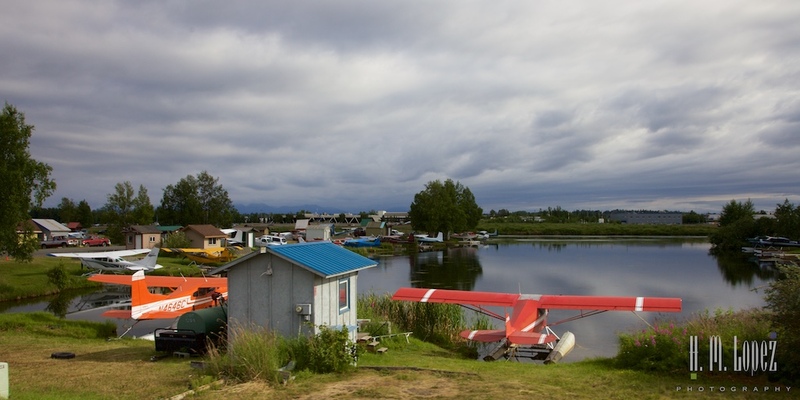 Anchorage is the largest city in Alaska, with almost half of its population concentrated there. And like all cities, it has its problems; including a high crime rate and homelessness. And Alaskans like to joke that Alaska is thirty minutes from Anchorage. We settled in at the Golden Nugget RV Park, read my review here. 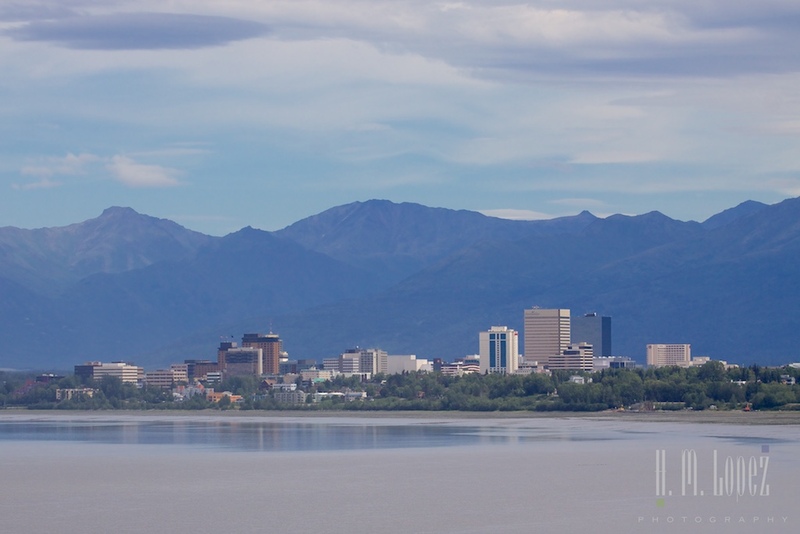 The city of Anchorage has a lot to offer, and we were intent on discovering some of its positive aspects. 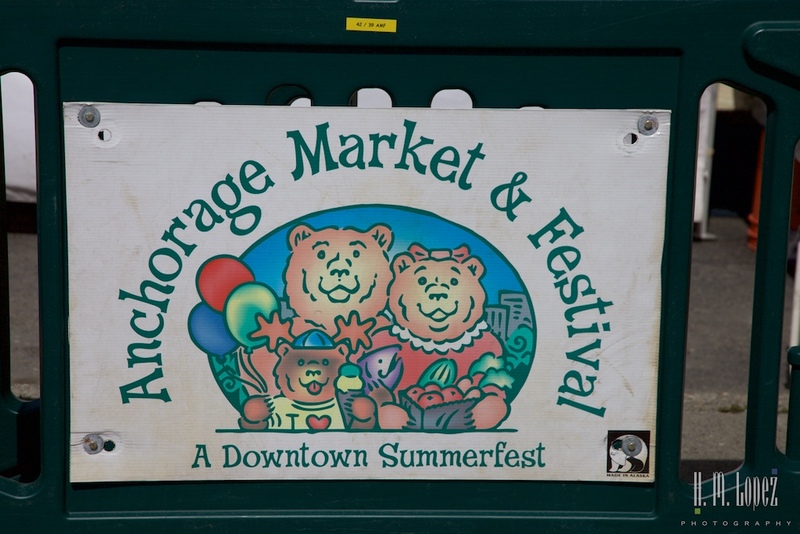 Starting with a visit to the Anchorage Market & Festival a fun weekend downtown market with lots of crafts and prepared food and a very diverse crowd. 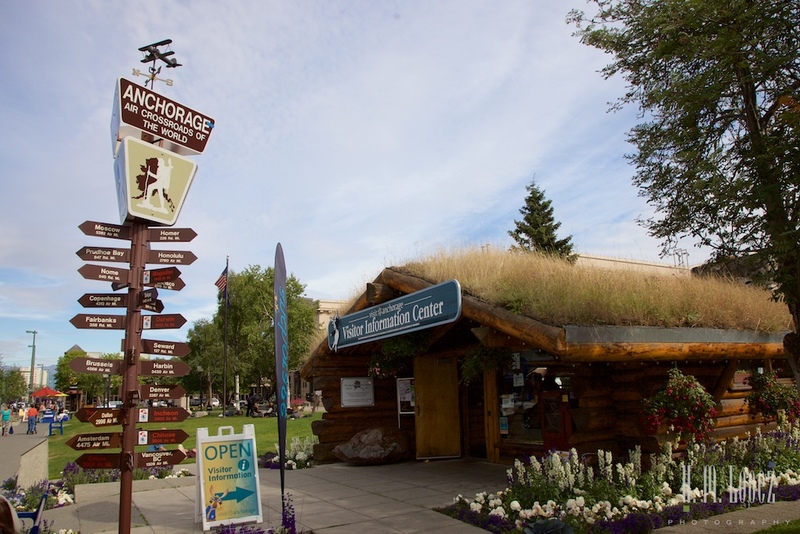 Next up was a stroll around the compact downtown and a visit to the sod roofed Anchorage Visitor Information Center, a beautiful log cabin structure. 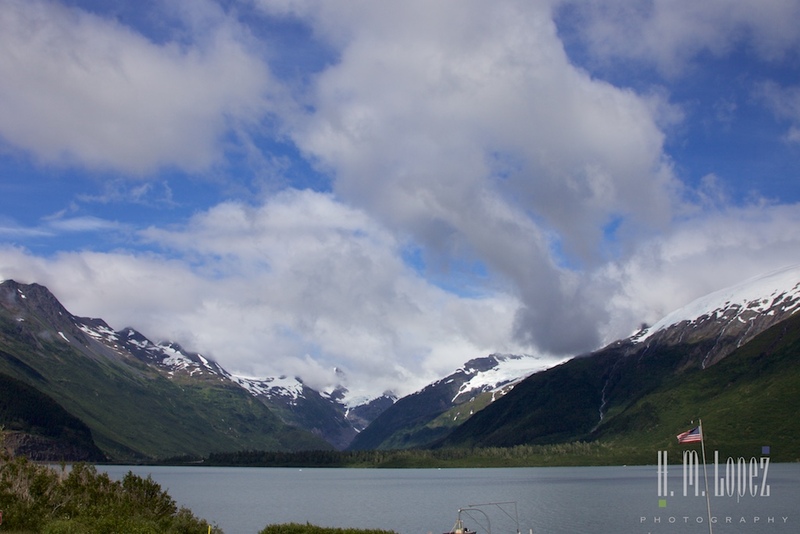 That day was pretty rainy, but the next day was one of the sunniest and warmest days we have had while in Alaska. 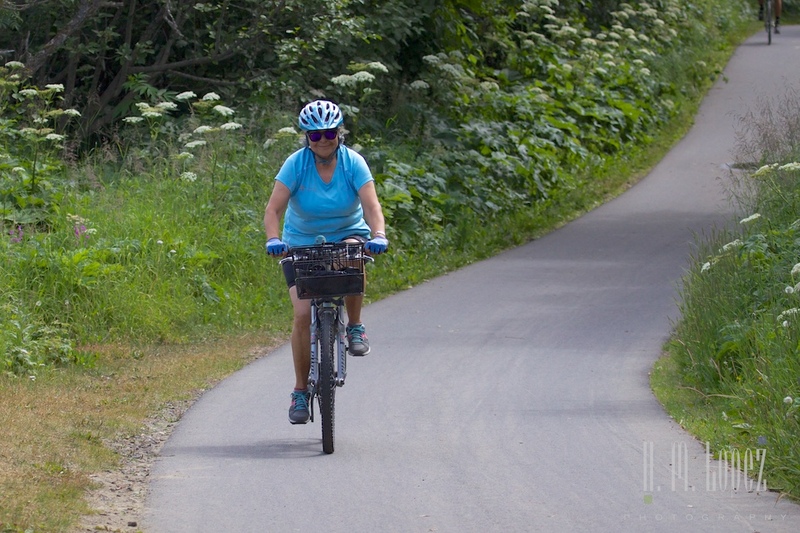 So we rode the Tony Knowles Coastal Bike Trail, which, as its name suggests, runs near the coast. We biked 15 of its 22 miles, a very enjoyable ride. It was a nice day and we were surprised to see Mt. McKinley way off in the distance. Not only is Denali 240 miles away, it is rarely seen as it is over 20,000 feet high and creates its own weather. It is almost always shrouded in clouds and yet there it was. Visible from Anchorage at sea level. Amazing. 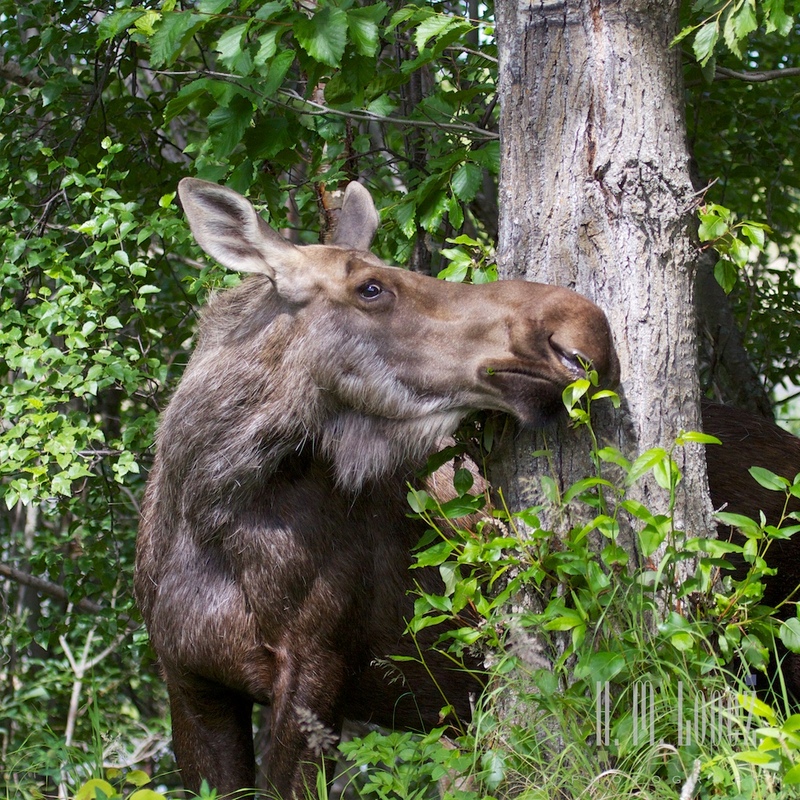 A cow moose was walking towards the bike trail while munching and stopped at a tree right by the trail. A small group of people had gathered, and a couple of visitors with a British accent walked almost right up to her face. Hector got off his bike and shouted out “I think that might be too close, they are unpredictable” to them. 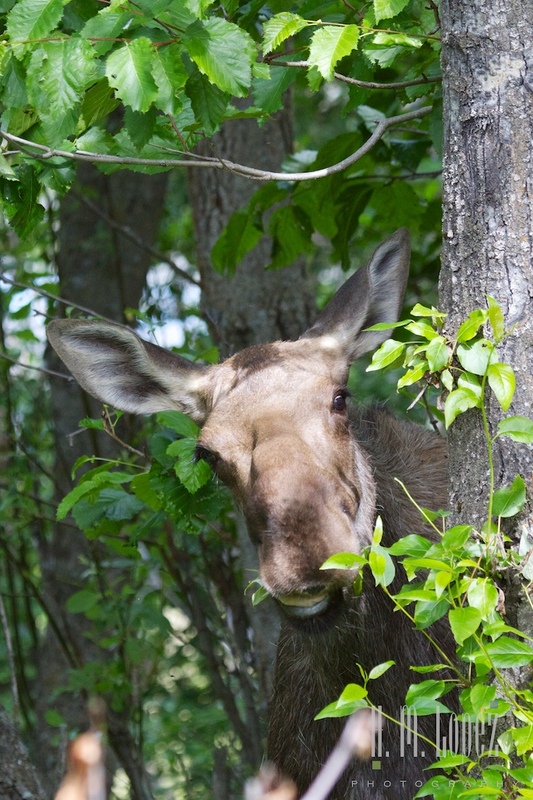 Moose have such cute faces that people do not realize they are dangerous. But all was ok and she just kept munching away. We also had errands to run for the next couple of days– washing the RV, the car, kayaks and bikes, laundry, and a few maintenance items including gluing some tile on our backsplash that had come loose after our recent rides on bumpy roads. And it was great to have access to hardware stores, Costco, big supermarkets and pet stores – another advantage of being in the city. After that flurry of productivity, it was time to pick up our friend, Joyce. Joyce was visiting us from Denver for a few days, checking off one bucket list item – her 50th state. 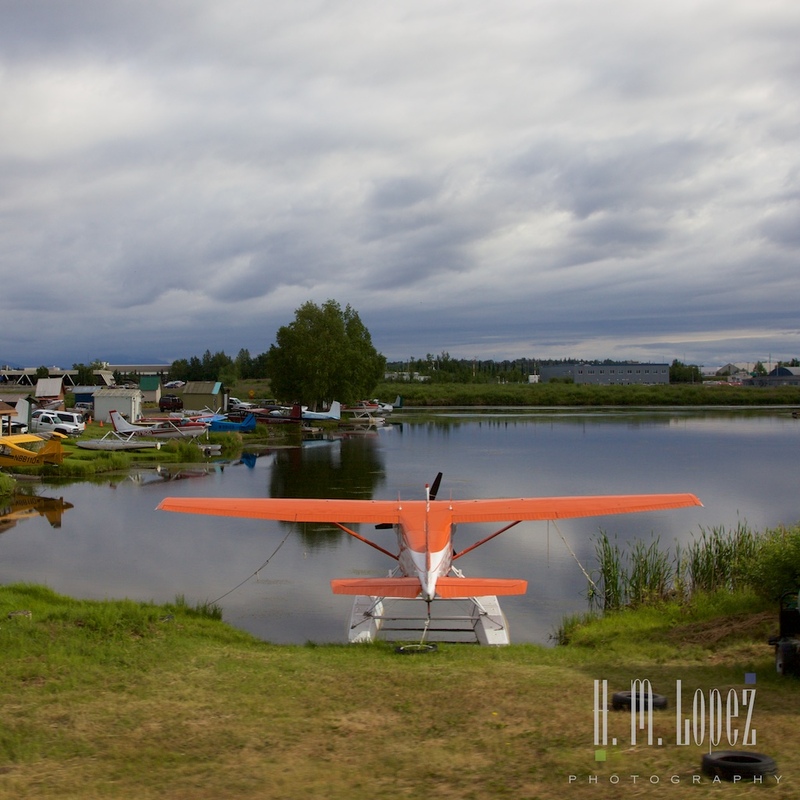 After picking her up at the airport, we drove over to Lake Hood Seaplane Base next door, the world’s largest seaplane base. 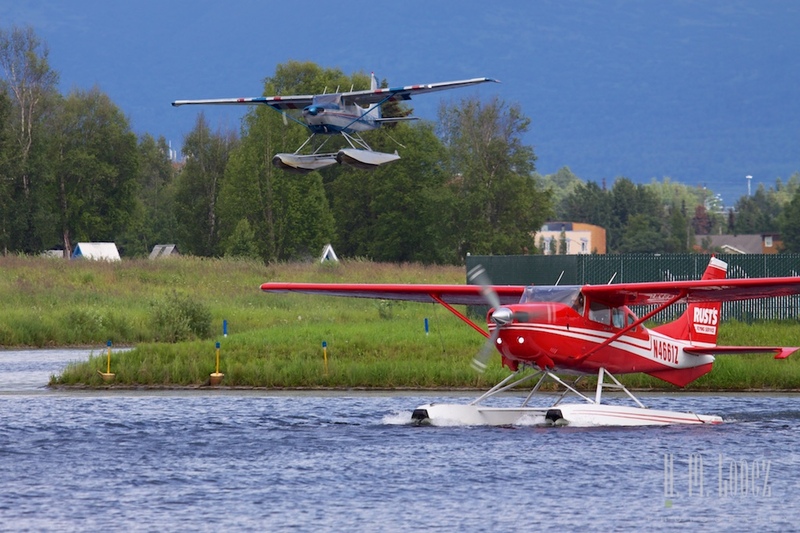 We love seaplanes and there are tons of beautifully restored ones at this base. I am hoping we get to ride on one later on our trip. Afterwards we drove to the lovely visitor center, visited a few shops and took a trolley tour. The tour was cute, but a little pricy for what you get, in my opinion. 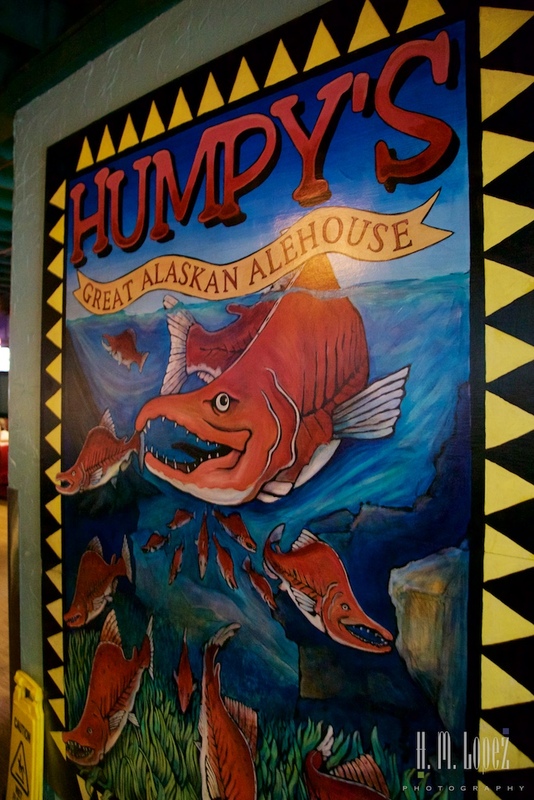 We ended our evening at Humpy’s Alehouse, where I had some great stout, Denali Chuli Stout, a new favorite. The next morning we headed out of town but first made a stop at the Anchorage Museum. 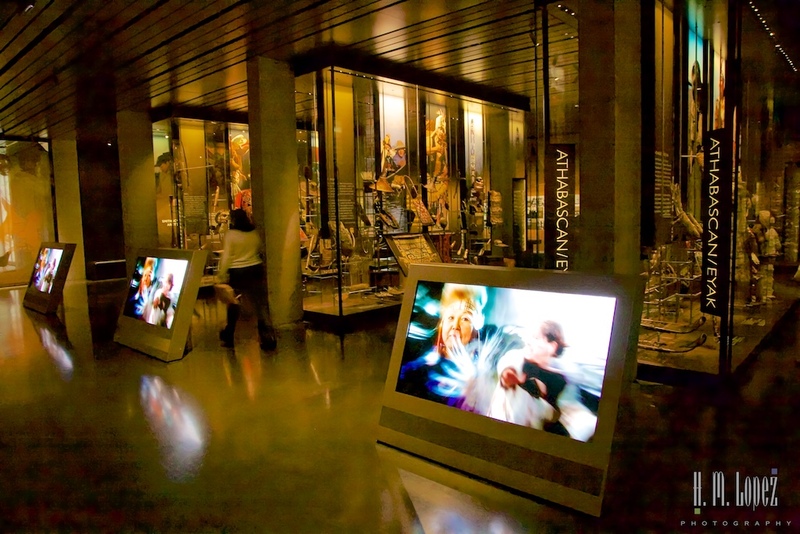 This world-class museum has a permanent collection that includes an Alaska history gallery, Alaska art galleries, the Imaginarium Discovery Center science galleries and the Smithsonian Arctic Studies Center. 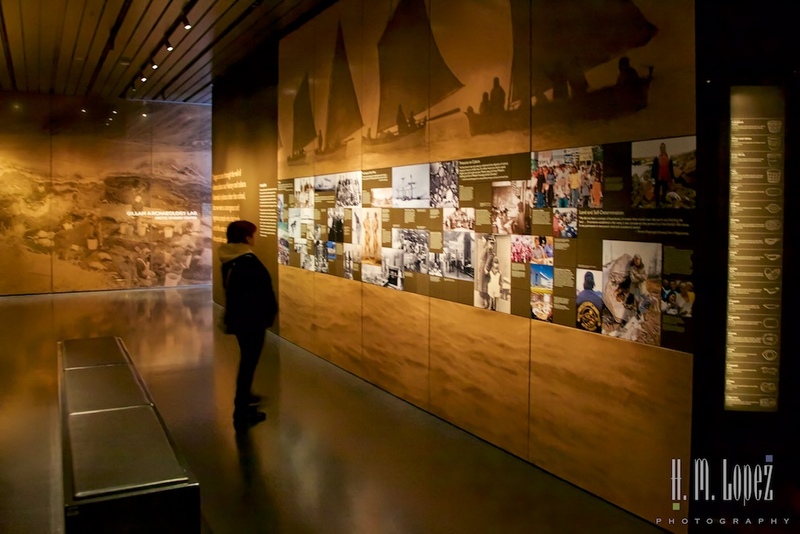 Some favorites were the personal stories and photographs of interesting individuals and families who immigrated to Alaska, an astounding number of Alaska Native artifacts – beautifully displayed, a fabulous collection of Arctic wildlife photographs, and displays of various types of Alaska Natives’ traditional homes. 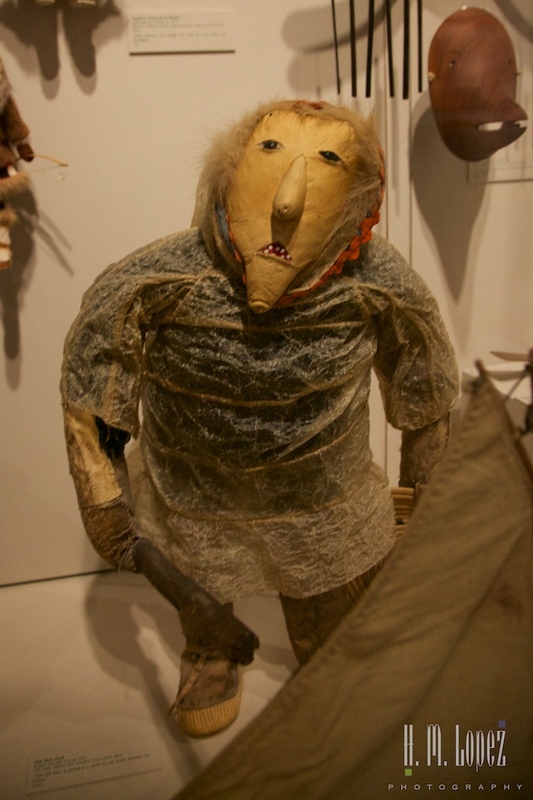 Another favorite was the Imaginarium Discovery Center which had wonderful interactive displays for kids of all ages – Hector said he could have spent a month there. All three of us were impressed by the immense and beautiful collections. We could easily have spent an entire day there. 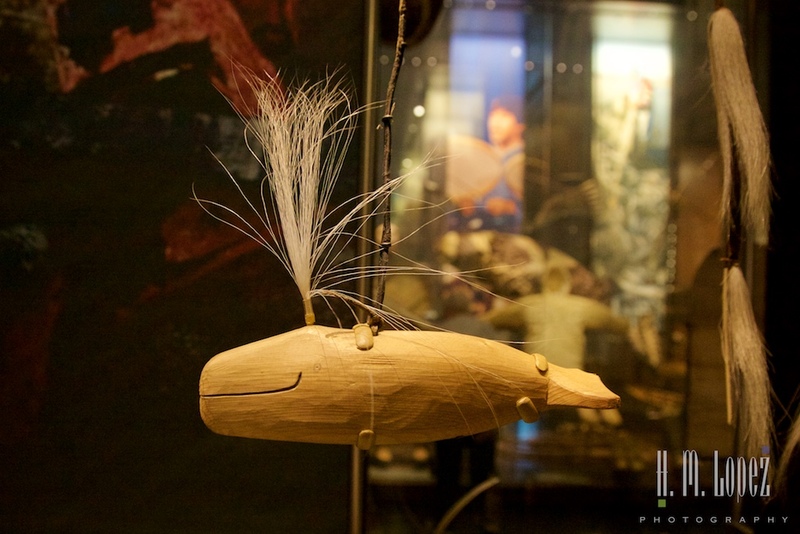 The museum was a fabulous ending to our stay in Anchorage, and a great way to kick-off our journey to the Kenai peninsula. 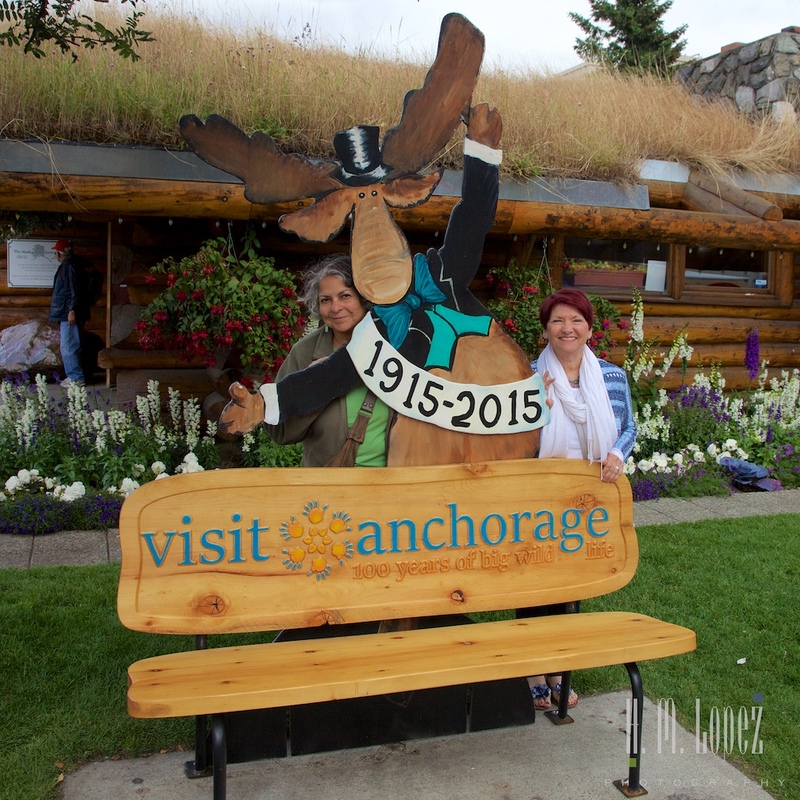 This entry was posted in Alaska, Our 2015 Journey to Alaska, RV fulltimers, States Visited and tagged airplanes, boats, Cities, cycling, friends, mountains, museums, wildlife by islandgirlwalkabout. Bookmark the permalink. 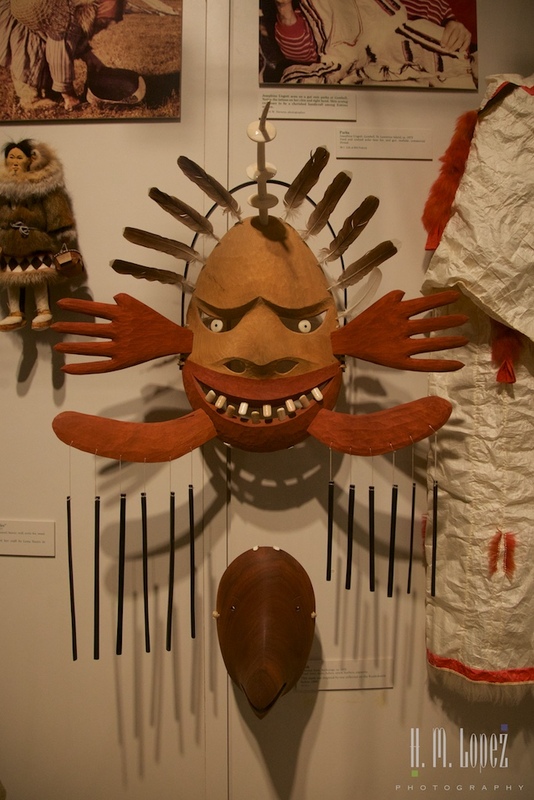 So glad you got to the Anchorage Museum. It was definitely one of the high points of our trip to Alaska. 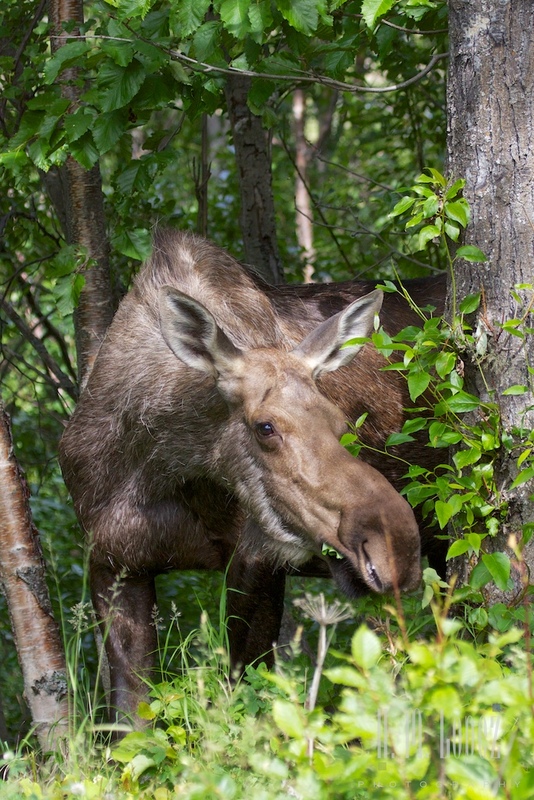 ( http://crosscountrydancing.blogspot.com/2014/07/a-restful-week-in-anchorage-ak.html ) We too had incredible encounters with moose in Anchorage. 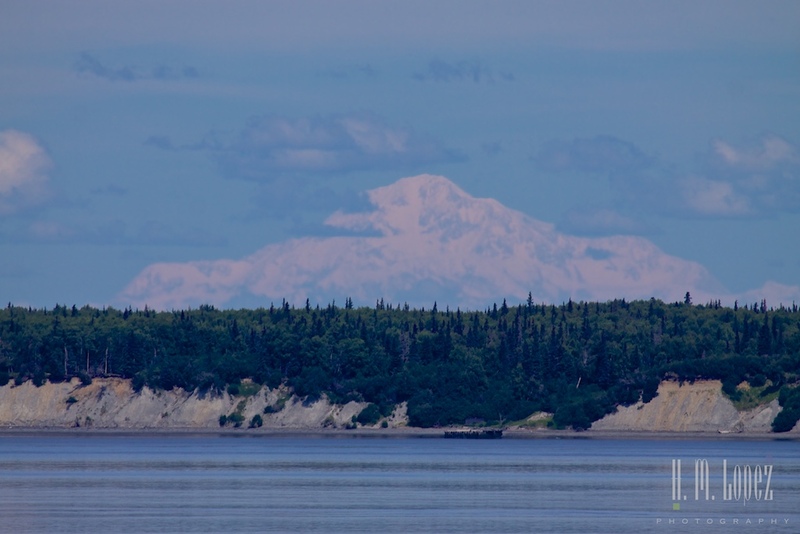 But seeing Denali, and so clearly, from Anchorage! Incredible!!! 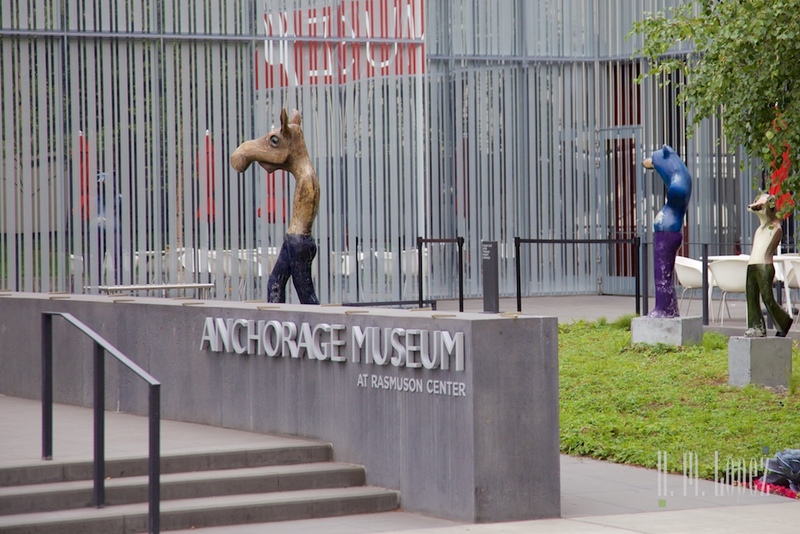 We just loved the museum, I will return if I’m in Anchorage. 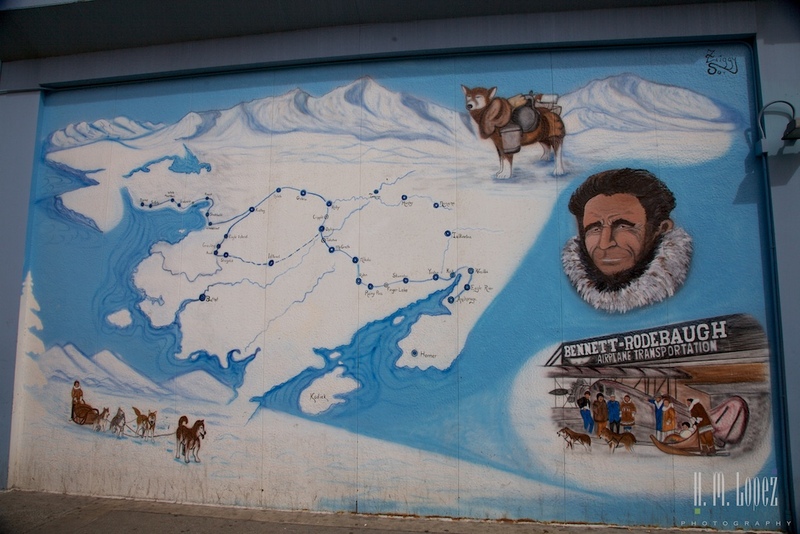 The Denali sighting was a real surprise! 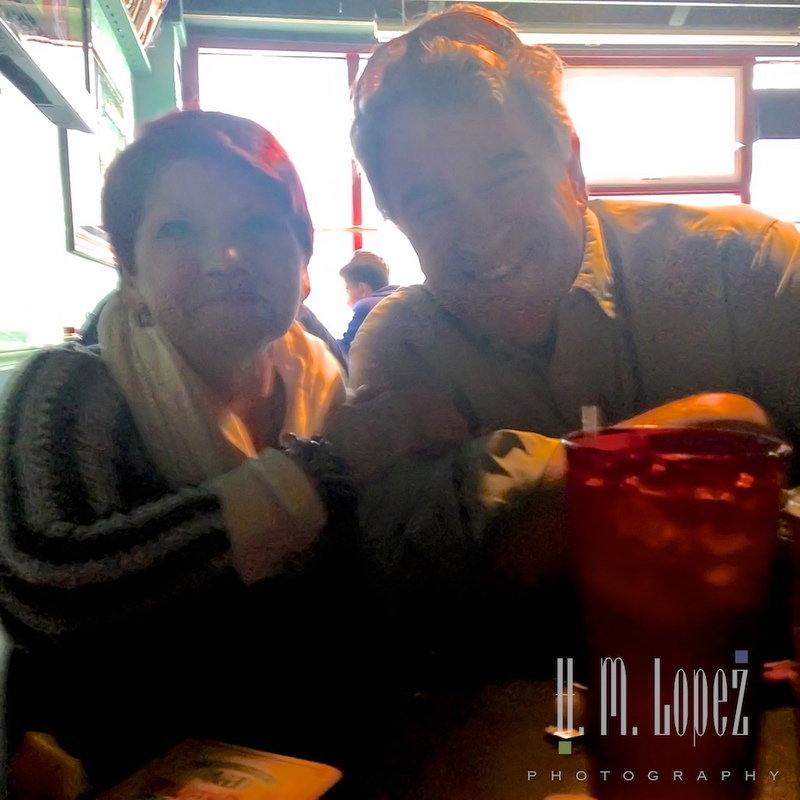 How wonderful to have a friend come to visit you in Alaska! 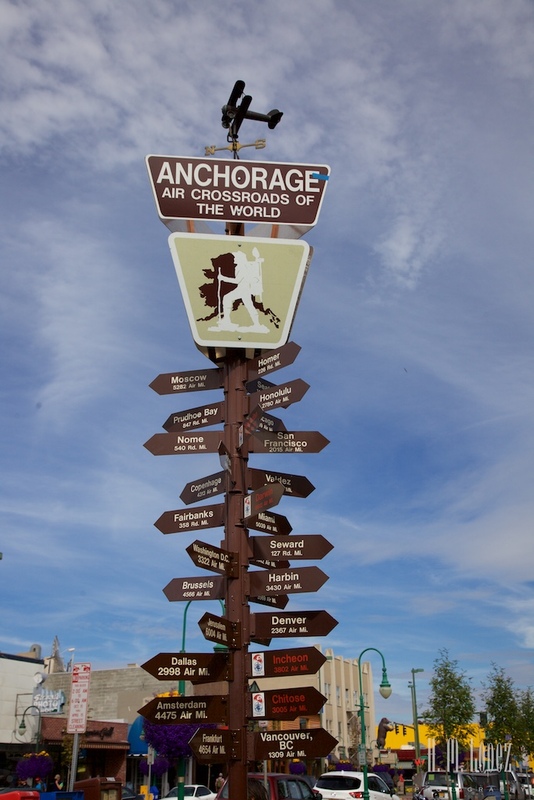 That bike trail sounds wonderful and the Anchorage Museum looks like my kind of place. I love any place that is interactive and I’m usually right there with the kids having a grand time! 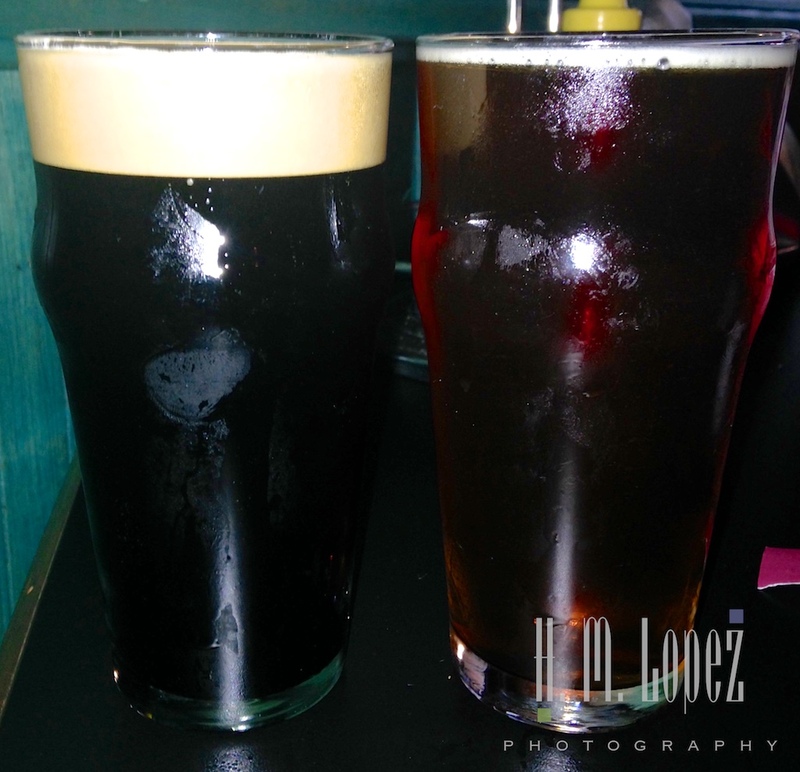 Great pictures and blog. Have missed the market twice I have been there…maybe next time. So glad you warned those people about moose. I was raised with frequent visitors of bear and moose on our property as a kid…and my parents were more concerned about the moose. Not smart to enter their space. Love your pictures. Alaska is so beautiful. Thank you! 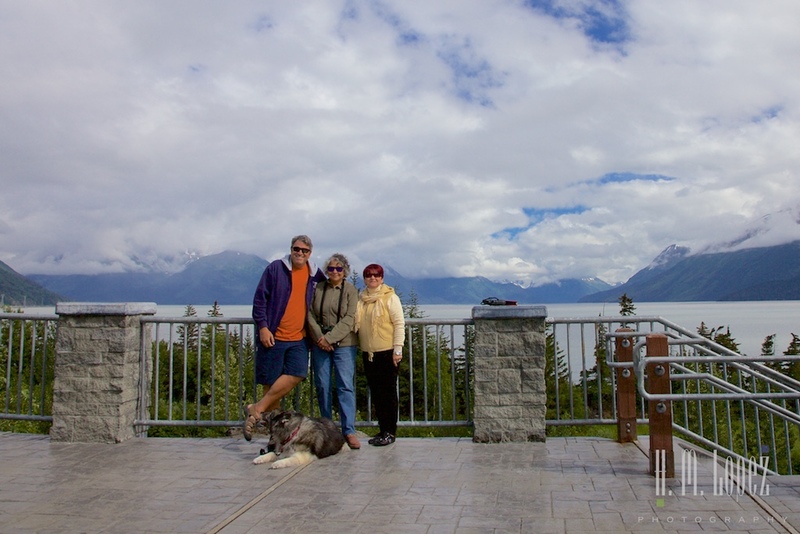 This is our second visit to Alaska, we were so looking forward to it, and it has not disappointed! In towns, cities or the middle of nowhere, you guys find the best and experience it all! So glad you can do that! Enjoy! Thank you, we do try to look for the best in every place and usually find it.